Rob joined the Innova team in April of 2018, he serves as an Investment Advisor Representative as well as a Financial Associate. Rob achieved his designation as a CERTIFIED FINANCIAL PLANNER™ in December of 2017. Rob has a passion to help our Clients live a financially-independent life, plan for, and enjoy a prosperous retirement. 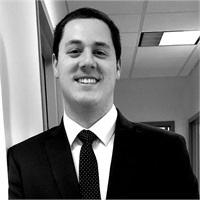 Rob is a graduate of The University of Cincinnati, Lindner College of Business with degrees in Economics and Finance. He brings a wide array of past experience to each relationship that allows him to service our Clients in a personalized and exceptional manor.